Compare flights from Edinburgh UK to Pakistan with Mushtaq Travel, great low offers updated daily providing more choice for passengers than any other travel agent or competitor if you’re looking to compare ticket prices from Edinburgh to Pakistan. Mushtaq Travel provides cheap tickets on flights to Pakistan from edinburgh and many other destinations within Pakistan and you may find even greater savings if you combine your travel itinerary with a stopover or a connecting flight with Emirates, Qatar, Saudi, Etihad, Turkish, Kuwait, Gulf or Oman Air. We work effortlessly to ensure we provide a free no obligation service at all times including our expert advice over the phone. 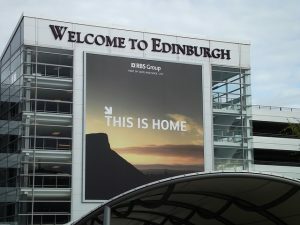 Find the lowest flight prices from Edinburgh airport by booking directly with Mushtaq Travel. Search and compare hundreds of cheap flight offers to find the one that suits your budget by simply inputting your travel dates, try our new multi airline search tool for an even greater choice of flights dont forget to use flexible date option for an even greater chance of finding the cheapest flights from Birmingham for your selected travel dates. If you need expert assistance call our travel consultants / representatives today. Our highly knowledgeable staff will be able to help you with any questions regarding your Pakistan flight, or for any special requests or requirements be sure to ask. By booking your flight with Mushtaq Travel you can rest assured that you have booked the best flight at the lowest price from Edinburgh Airport. With expert advice and tailor made solutions available on all types of fares and journeys from Edinburgh UK to all over Pakistan why not speak with our friendly and informative staff with a combined experience of over 30 years in arranging and organizing airfares and ground transportation for personal, business or leisure travelers.